It was one of the biggest aviation business stories of 2014 – the US$1.4 billion acquisition of Beechcraft by Cessna parent Textron, pulling together three of the most iconic brands in business and general aviation, Beechcraft, Cessna and Hawker. By the spring, the two Wichita “neighbours” had been rolled into a new entity, Textron Aviation (which does not include Textron’s Bell Helicopter unit), although each brand will preserve its distinct identity. Textron Aviation debuted at spring tradeshows in Asia and Europe. Ernest was anxious to draw a red line under the “integration story” by the time the airframer arrived at the annual National Business Aviation Association (NBAA) Convention and Exhibition six months later with a full range of Beechcraft and Cessna business aircraft, including a fully configured model of the new US$16.2 million Citation Latitude. The midsize Latitude features a 77-inch wide, six feet tall, standup cabin. 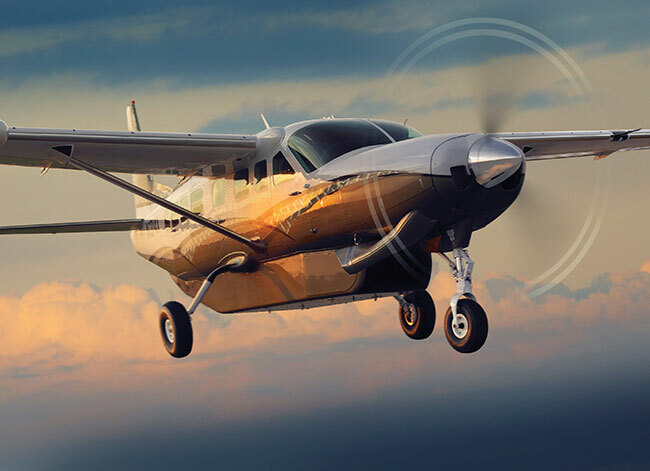 Cessna rolled out the first production model at the company’s Wichita, Kan. manufacturing facility in late January. The four test aircraft have completed more than 500 flights and 1,200 hours, and the program is on track for certification in the second quarter of this year. The company boasts one of the largest and most diverse portfolios in the industry with 21 aircraft ranging from the Caravan single-engine utility turboprop and venerable King Air twin turboprop – introduced in 1964 – to super midsize business jets. In the past 18 months, Cessna has certified four jet aircraft upgrades: the high speed Citation X+, mid-size Sovereign+, and the M2 and CJ+ light jets. 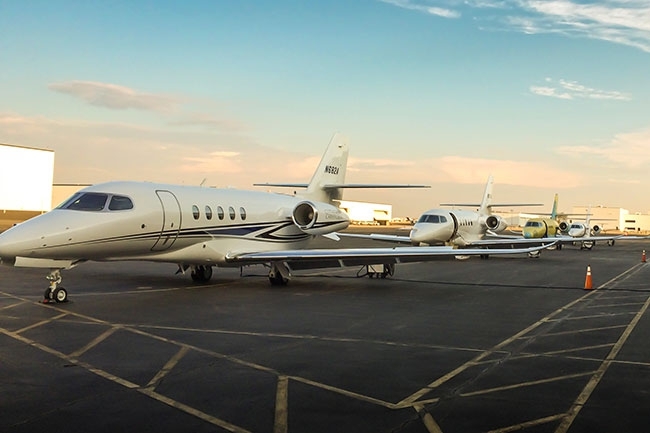 They have an installed customer base of 250,000 aircraft including 6,500 Citation business jets (making it the largest fleet of business jets in the world) and 3,000 Hawker jet aircraft. Beechcraft shut down the business jet unit in 2013. Supporting this fleet is the world’s largest global service network including 21 company-owned service centres, 44 mobile service units and eight distribution centres. “Customers now have access to the widest range of class-leading products in general aviation through these three iconic brands, and are benefitting from the largest global service network,” David Rosenberg, VP of strategy and innovation at Textron Aviation said. But since the 2008 global recession, both Hawker Beechcraft (as it was then known) and Cessna were struggling. Cessna, which dominated the light jet category, was hit by a deep slide in demand for smaller jets. The segment was squeezed further by the splashy arrival of Embraer’s Phenom 100 and 300 light business jets. Hawker Beechcraft filed for bankruptcy protection in 2012, and entered into takeover negotiations with Superior Aviation Beijing – an obscure fit with a Chinese company that manufacturers engines for homebuilt aircraft. The company emerged from bankruptcy and rebranded as Beechcraft in 2013. It also pulled out of the jet business, but promised to continue supporting its aircraft. Discussions with the Chinese collapsed, but according to Bloomberg Business, the leaner company had at least three potential suitors including, Embraer, Mahindra & Mahindra, a Mumbai, India-based automotive manufacturer and Textron, who was keen to add Beechcraft’s turboprop offerings such as the King Air to its own piston and turbo-driven lines. Cessna estimates that about one-third of customers who graduate to light jets come from the turboprop sector. There is no overlap in the Cessna and Beechcraft product lines. For its investment, Textron has acquired a much leaner company that had already gone through the scars of bankruptcy protection (Beechcraft shed $2.5 billion in debt), the coveted King Air production line and product support network; two strong assets that analysts rate as jewels in the crown. Textron also has Beechcraft’s installed 35,000 customer base, and will be anxious to coax owners of older Hawker aircraft to upgrade to Citation jets. Textron estimates it can save between US$75 million and US$85 million by bending the cost curve through combined business operations. Most of the mechanics of integration is already behind them. The former Beechcraft and Cessna plants – only 21 kilometres apart in Wichita – have been relabelled the west and east campuses. The potentially thornier issue, labour relations and fusing two workplace cultures, has also been settled. The challenge was likely made easier for the fact that in a lot of households in Wichita, airplane building is already a family business that includes Bombardier’s Learjet division. A deal was reached in October with a six-year contract covering 4,100 workers. It is now about looking forward, and plugging one and possibly two gaps in the extensive product line. Ernest is an enthusiastic supporter of investing in new airplanes. Fifty per cent of the jets Cessna will deliver in the next two years are aircraft that have been certified in the last 18-months, according to Forbes Magazine. In contrast, Beechcraft has not officially launched a new product since 2010. The parent company appears to support its chief executive’s vision. Plus, it now has 1,500 engineers to keep busy, including the 500 that came over from Beechcraft. “We are always looking for new ways to meet our customer’s needs and are continnuing to invest in new products,” Rosenberg said. “During the last 12 months, we introduced four new or upgraded aircraft to our Citation jet product line alone, as well as upgrades to our piston and turboprop aircraft ane offerings within our service network. We also secured key international customers for the Beechcraft Defence T-6 trainer. An early-post merger priority appears to be an eight- to 11-seat, single-engine turboprop to fill out the range between pistons and the King Air. Beechcraft had sketched out such an airplane at NBAA 2012 based on the fuselage of the Hawker Premier I light business jet, as part of an ambitious upgrade of the product line. Another priority will be the long-range, large-cabin jet segment, already dominated by Bombardier, Dassault and Gulfstream. Honeywell predicts that large-cabin aircraft will account for approximately 85 per cent of the value of business jet deliveries over the next decade. Textron is expected to dip a toe in that market in 2017 with the first delivery of its super-midsize Longitude. Also announced at NBAA 2012, the Longitude is nine feet longer than the Latitude and shares several features including fuselage cross section. It will have a range of 4,000 nautical miles at a speed of Mach 0.82. The airplane is scheduled to make its first flight in 2016, but there is speculation that the timetable may be pushed back as Cessna considers enlarging the design. It is clear that Textron Aviation is stronger than the sum of its two impressive parts. The company has a leading market position in the turboprop and light business jet categories and is well-positioned to capture a share of the rebound, including the anticipated recovery in demand for light jets. 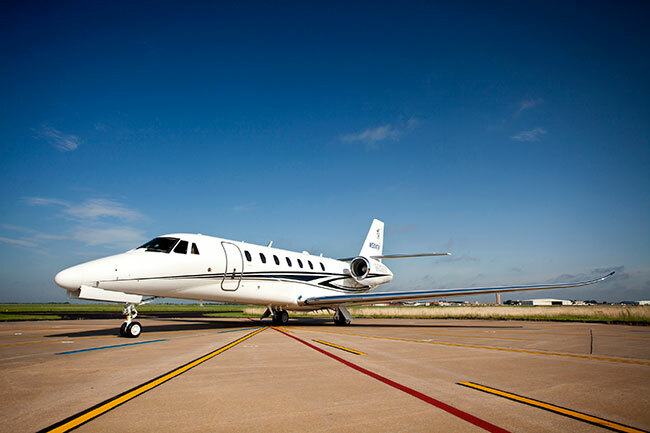 In any case, Cessna has lessened its dependence on this sector by expanding into midsize and super midsize business jets with the Latitude and Longitude. The used market is also tightening, which signals renewed demand for new turboprops and business jets. Textron’s inventory of used Citations and King Airs, for example, has been cut in half. Forbes Magazine reports that the number of used Citations came down from 900 to 600 in 2014. “The light jets segment remains difficult. However, as evidenced by our 2014 results, we are seeing new product innovations invigorating the segments in which we compete,” Rosenberg said. “As a broader market, our internal measurement indices are positive. Industry flight hours have increased for 12 straight months and used aircraft availability in the segments in which we compete are at the lowest levels since the downturn. With stronger demand for exisitng products and plans to invest in new airplanes, the order book appears to get thicker over the next few years. A merger between Beechcraft and Cessna was in the cards as early as 1992. In 1980, Beech Aircraft Corporation became a subsidiary of Raytheon Aircraft Holdings. Six years later, Beech entered the business jet market with the purchase of Japan’s Mitsubishi Aircraft International. In 1993, Raytheon expanded its business jet holdings by acquiring Hawker, the corporate jet subsidiary of British Aerospace (BAe). The companies were merged to former Hawker Beechcraft in 2007. Cessna Aircraft, a division of General Dynamics, had introduced its first Citation business jet in 1972. In 1992, Textron bought Cessna from its parent company as part of a larger selloff that included its tactical fighter business going to Lockheed, missile business to Hughes Electronics (a subsidiary of General Motors) and space systems to Martin Marietta. In acquiring Cessna, Textron had beat out Gulfstream, France’s Dassault Aviation and Raytheon. 1967, McDonnell and Douglas In January, McDonnell, a dominant producer of military aircraft acquired Douglas, the manufacturer of air transports including the venerable DC-3 and DC-8. Both were family owned companies. Cash-strapped Douglas did not have the resources to support its order book of DC-8s and DC-9s or to invest in the development of a DC-10 wide body. McDonnell was anxious to expand into commercial aircraft, but the family did not understand the business, and missed an opportunity to jump ahead of Boeing and the emerging Airbus in Europe by building a wide body twinjet. Boeing acquired McDonnell Douglas in 1996 for US$13 billion.